On Sunday we held our last Spooky Tour and Hunt at the GSPCA with a group of 7 scary little monsters and witches. 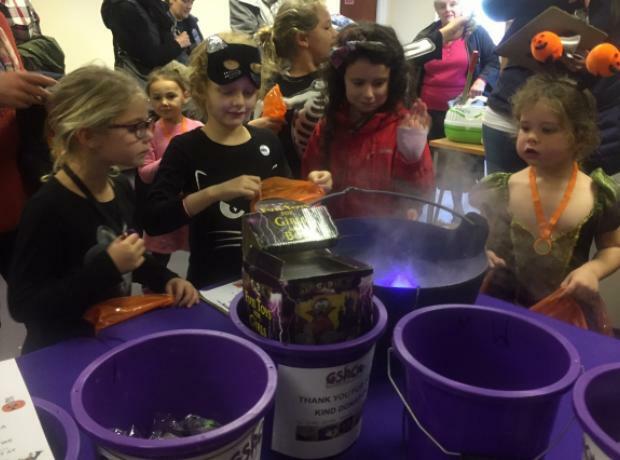 Throughout half term we have held special tours at the GSPCA which included a quiz, meeting some of the more unusual animals, fancy dress and a very spooky room filled with prizes. All the young monsters were accompanied by their parents and all had a great afternoon with yesterdays being the latest so was set in the dark to add to the spookiness of the event. On Saturday Daisy and Etienne were two very luck Halloween dressed children as they got a personal Halloween Tour at the GSPCA. They got up and close to Stan the stick insect, Pollyanna the corn snake, Point the hedgehog, Tom the cat and many other animals at the GSPCA. After their tour they had the answers for their Halloween quiz sheet and got prizes for the doing so well and their wonderful fancy dress. 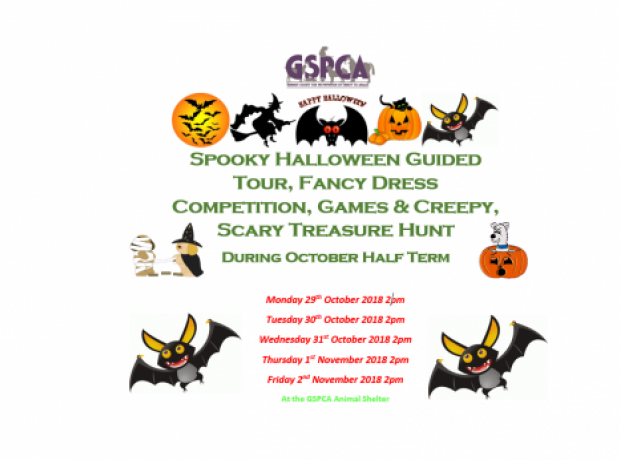 All this week for Half Term the GSPCA have been running Spooky Tours and Halloween Treasure Hunts at the GSPCA. Yesterday another 16 young vampires, cats, zombies and monsters arrived for a scary event at the Animal Shelter in St Andrews. The group on arrival were given a few gifts and got to meet Molly the beagle before being taken around the Shelter to find out about some of the Halloween types of animals like black cats, owls, bats and those with scary names. 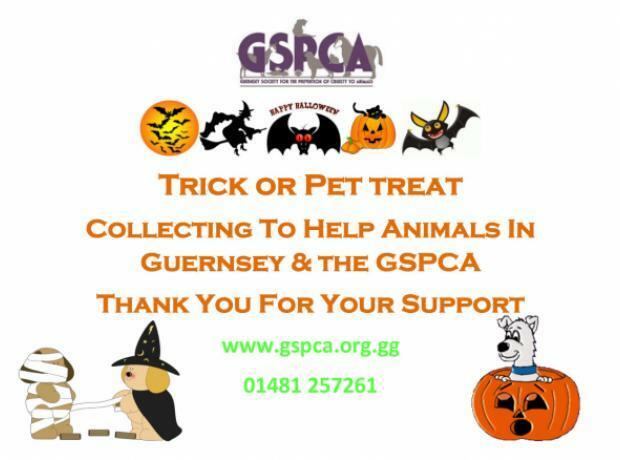 All this week for Half Term the GSPCA are running Spooky Tours and Halloween Treasure Hunts at the GSPCA. Yesterday 15 young vampires, cats, zombies and monsters arrived for a scary event at the Animal Shelter in St Andrews. The group on arrival were given a few gifts and got to meet Molly the beagle witch before being taken around the Shelter to find out about some of the Halloween types of animals like black cats, owls, bats and those with scary names.